Brand: Norpro N-679 Units: 1 Helps to make cookies uniform in size. Stainless steel, professional gauge. Heavy-duty spring action: releases easily with a squeeze of the handle. Scoop measures 2 1/8" across and holds 4 tablespoons or 2 oz. Culinary scoop number: 16. Helps to make cookies uniform in size. Stainless steel, professional gauge. Heavy-duty spring action: releases easily with a squeeze of the handle. 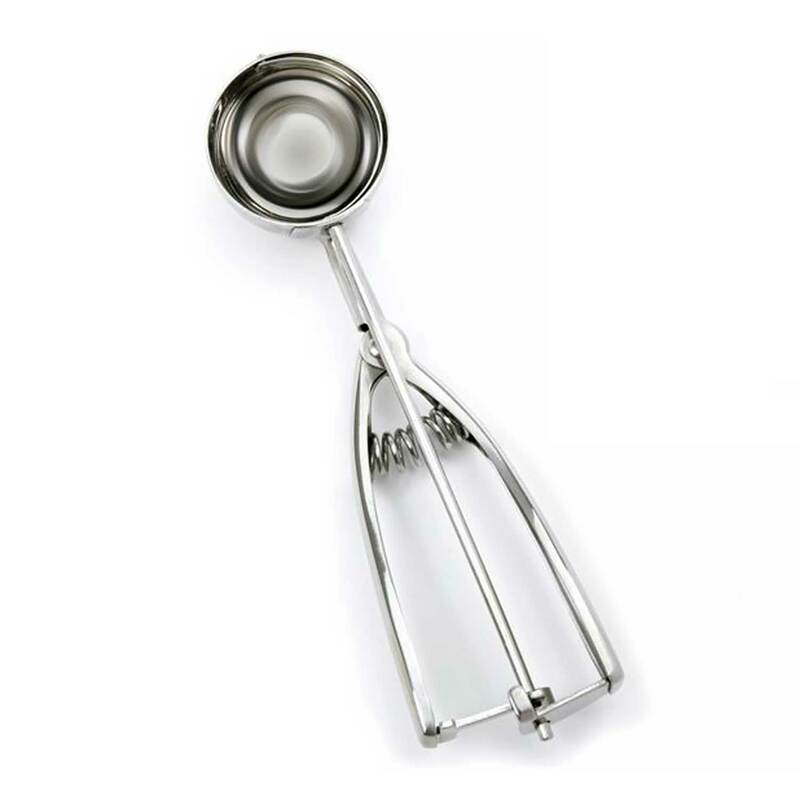 Scoop measures 2 1/8" across and holds 4 tablespoons or 2 oz. Culinary scoop number: 16.